FileHub Plus Wireless Travel Router - Moar Stuff - You don't need it but you know you want it. 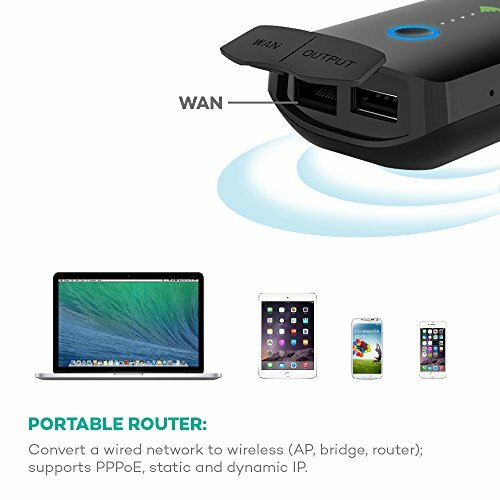 The FileHub Plus Wireless Travel Router packs just about every feature you would need to share files, store photos, or even recharge your phone into a single, small, appliance. 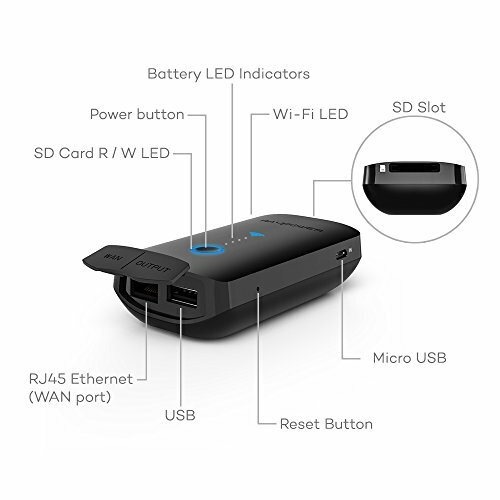 Basically, the FileHub Plus is a is a device that serves up the content from a USB drive or SD card via a personal WiFi hotspot. 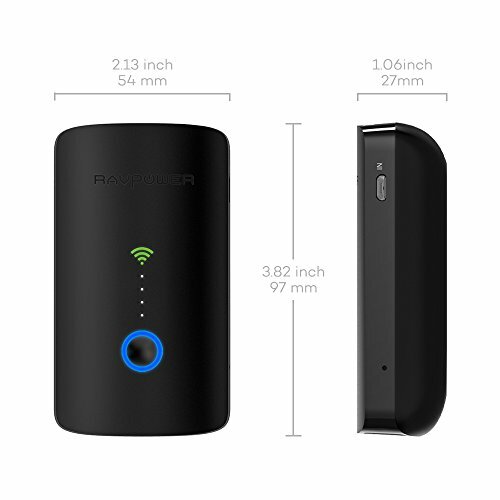 Oh, and since it has a 6000 mAh battery pack built-in, it can recharge your phone or tablet while doing so. 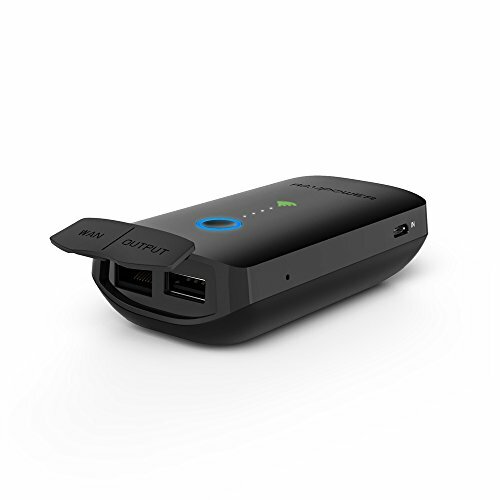 That makes this a perfect gadget to have with you when traveling. 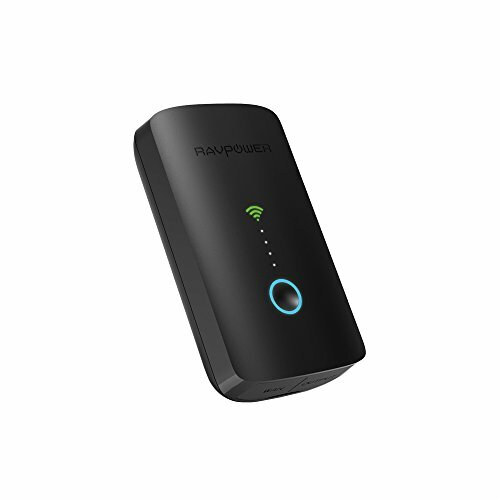 It’s great for easily sharing or transferring files between your devices, backing up your phone/tablet/laptop and, of course, topping off their batteries. 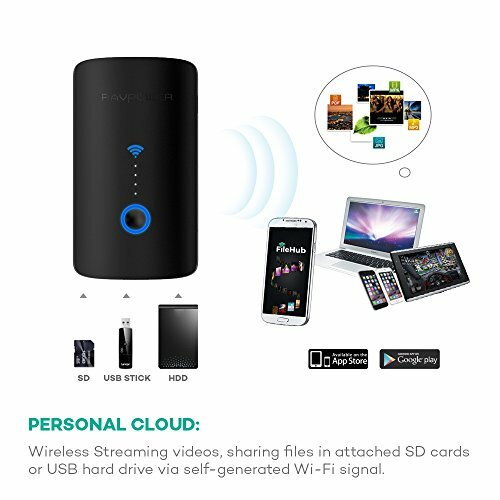 Using it, you can seamlessly share files and photos with your families or friends, stream your videos, photos, and music on your connected smartphones, tablets, TVs, media players, Chromecast, Roku, and other DLNA devices. It supports USB drives up to 4TB in size and SD/SDHC/SDXC cards up to 256GB so it can handle even your largest storage needs. 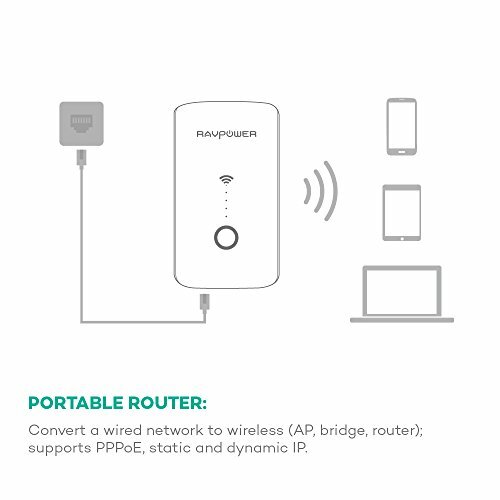 It can connect to a WI-FI point to allow internet access and can also connect via Ethernet if WI-FI isn’t available. Product Dimensions 6 x 4 x 2 inches. 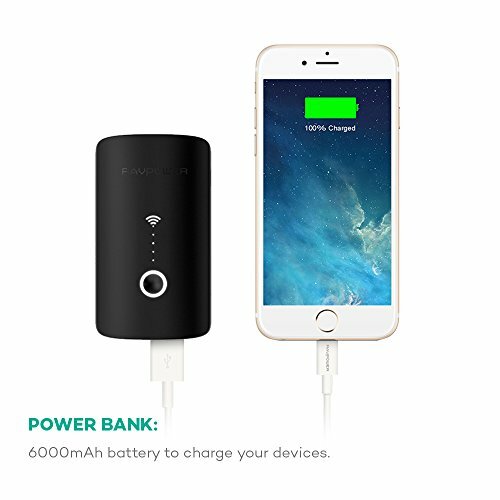 Battery: 6000 mAh rechargeable battery bank. Supports SD cards up to 256GB. Supports USB hard drives up to 4TB. While Macs can connect to it, it does not work with Mac formatted hard drives. Due to the limitation of the Apple iOS system, you can only access the Photos folder on your iPad.